One of our clients specialize in LED lights owns an eCommerce website built on BigCommerce. He wanted us to modify the single page checkout provided by BigCommerce. Instead of a step by step checkout, he needed a single-click single page checkout. The default single-page check out by BigCommerce is frustrating that a customer needs to go through multiple steps to fill his address details, payment information, order confirmation, etc. It may lead to possible cart abandonment and unnecessary revenue loss. 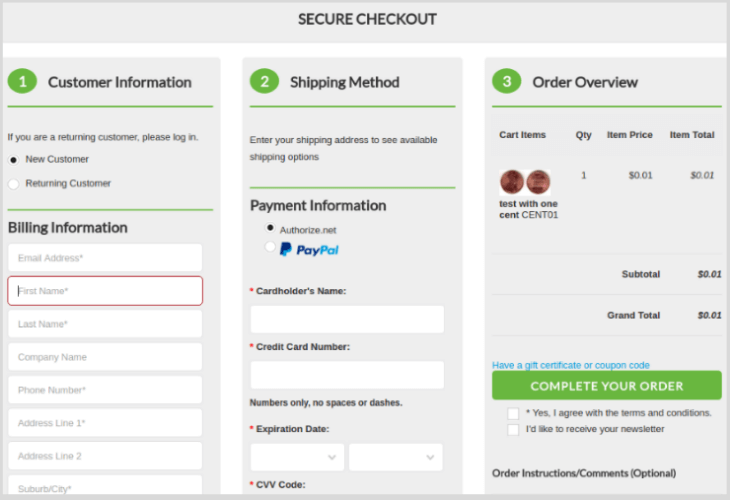 The default style of the ‘BigCommerce single page checkout’ contains many steps. The screenshot will give you a clear picture on how frustrating it would be for a visitor. The system works as a step-by-step process in such a way that as the first step, the user has to log in either as a guest or registered account. 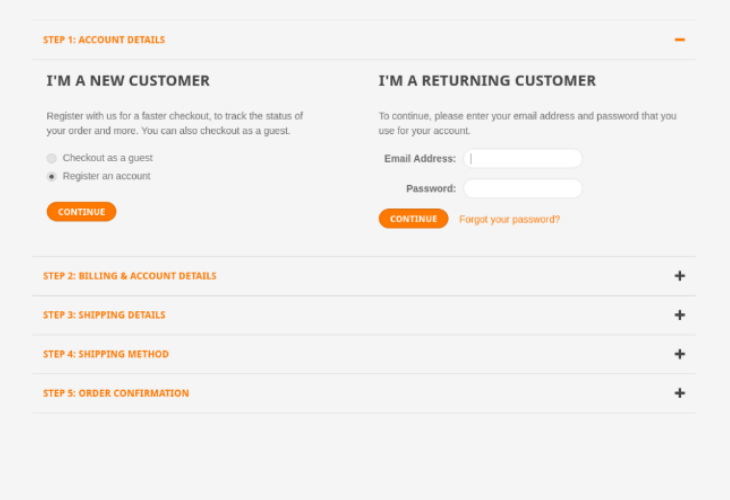 Once happen, the user has to fill the billing and account details as the second step and submit it. After that only, the user can have the option to enter the shipping details and thereby the shipping method after submission. As the final phase of the process, the order could be confirmed. This makes the user submit different times and may get delayed everything. Here comes the benefit of a one-page checkout option. The client asked us to convert this page into an intuitive and easily navigable one, which can give the buyer an option all product, address, payment details in a single view. The team at Virtina redesigned the pages as shown in below picture, fulfilling the client requirements without compromising on design and aesthetics.